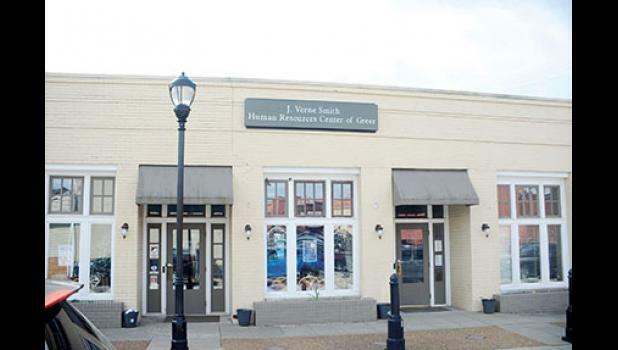 Changes could soon be coming to Greer Relief’s Victoria Street location. “We’re having some substantial issue with the roof of that property,” said City Administrator Ed Driggers during last week’s council planning retreat. Driggers recently met with Greer Relief Executive Director Caroline Robertson, who has been contemplating a new location for some time now. “We are aware of the roof situation,” Robertson said. “We’re trying to also determine what is best for that. The city currently allocates $30,000 annually to Greer Relief, having stopped paying the nonprofit’s utility bills two years ago. Robertson will be bringing her annual report to council at the end of April. “We are on the same page as far as evaluating how that space is used,” Driggers said. “I do think there is going to be a day, probably sooner than later, that someone is going to come forward and say, we can’t patch it anymore. Councilmember Kimberly Bookert asked how these organizations end up with these agreements. “I think (Sen. J.) Verne (Smith) gifted us the building along with the agency,” said Mayor Rick Danner. While there is no true lease agreement with a deadline, the agreement in place states that the city will provide the facility and Greer Relief will provide the programming. “What we didn’t do at the time nor have we done subsequently is said what happens at the end of some term,” Driggers said. “We’ve been very supporting because it brings services to our community that we may otherwise not have,” he said. “That’s the good old boy system right there,” said Council Member Jay Arrowood. “Maybe that support is different in the future than it is now if they were to be somewhere else,” Driggers said. Council Member Lee Dumas asked how the property would be used if Greer Relief moved. “I would imagine it’s a valuable piece of property,” Driggers said. In 2001, the city offered Greer Community Ministries and Greer Relief their respective buildings for $1 each. Greer Development Corporation Executive Director Reno Deaton shared about opportunity zones, which allow investors to divert capital gains taxes to a fund for investments, which would be received back tax free. “There’s a huge, huge incentive for these high network folks to be putting their money into these funds that are designed to invest in these particular geographic areas,” Deaton said. Greer has two opportunity zones: one near BMW and GSP and the other in downtown. Deaton recommended city council to obtain professional help in targeting investors for the site. Every board retreat includes discussions about relocation, and the current strategic plan includes the idea. “We were ramping up in discussions with our board executive leadership,” Robertson said. “We had also been hoping to sit down with Ed when he approached me to say, I’d love to sit down with yourself and executive leadership. When asked about pros and cons of staying and leaving, Robertson shared the following. Nevertheless, Robertson is looking at options for a coming relocation to a different site. Robertson said there are a lot of assessments to be done before making a decision. “There’s a lot of things we’ve got to assess and a lot of things we’ve got to determine before we get to that place, and we have not assessed those points in quite some time,” Robertson said. Robertson is currently sitting down with funders to determine the availability of funds to help with researching how their current clients would access Greer Relief at a new location. Robertson also shared her thoughts on occupying a city-owned building. Robertson considers the relationship with the city to be strong moving forward. “The city is very much on our side when it comes to partnering and trying to help us and being good stewards with the resources that the citizens of Greer has helped them to have and is really trying to help the citizens have access to resources,” Robertson said. Greer Relief will also be welcoming a new tenant in the next couple of weeks with SC Works moving back to Greer.